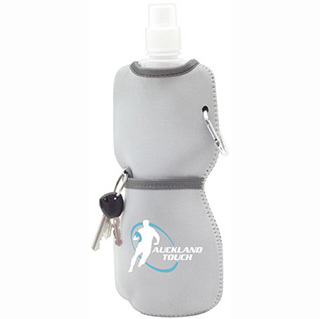 Insulating neoprene sleeve holds a refillable, reusable 480ml water bottle made from a durable PE plastic, BPA free. These bottles collapse when empty for convenient travel use. The sleeve has a mini carabiner clip and a convenient front pocket to hold keys.